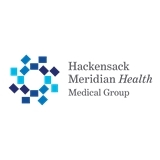 HMH Medical Group OB/GYN, Freehold (Freehold) - Book Appointment Online! Please Visit our website Jerseyshoreob.com, click tab for policies and forms. Please print out all necessary paperwork and fill out before hand. Bring to your appointment along with Insurance card and Photo ID. If you do not have a printer PLEASE come to your appointment 15 minutes early to fill out paperwork so we can try to keep the office flow continue to run smoothly. Thank you for your cooperation. Dr. Barnett is great! Knowledgeable and courteous with a big warm smile.